Campfield makes an ideal location for touring the local area with so much to do within easy travelling distance. Some great examples are: BEN NEVIS (the highest mountain in the UK), Old Inverlochy Castle (historic castle), ANOCH MOR (For hillwalking, skiing - depending on season and wonderful views), Caledonian Canal (Neptune's Staircase, Corpach Basin), BEN NEVIS DISTILLERY. 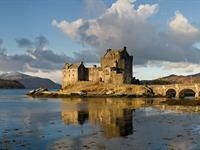 OBAN, MALLAIG AND INVERNESS are all within easy travelling distance of Campfield. 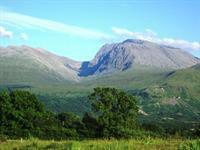 Ben Nevis is the highest mountain in the British Isles. Standing at 1,344 metres above sea level, it is located at the western end of the Grampian Mountains in the Lochaber area of the Scottish Highlands. close to the town of Fort William. Ruined 13th-centry castle on the banks of River Lochy, that was a backdrop for Inverlochy battles. 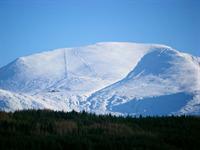 Aonach Mor is a mountain in the Highlands of Scotland. It is located about two miles/three km north east of Ben Nevis on the south side of Glen Spean, near the town of Fort William. 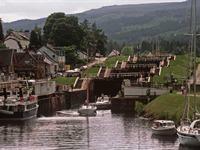 The Caledonian Canal is a canal in Scotland that connects the Scottish east coast at Inverness with the west coast at Corpach near Fort William. 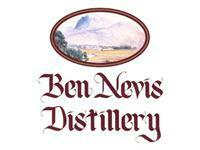 Ben Nevis Distillery is a distillery in Scotland that distills Ben Nevis 10 years old and Bend Nevis 21 years old whiskey.